Homeowners who are considering installing a wood-pellet-burning stove want to know before purchasing it how many pounds of wood pellets the stove has to burn to provide enough heat for a home. This figure determines the cost of operation and any overall cost-savings associated with the conversion. It also helps the homeowner assess the amount of effort required to keep the stove burning. 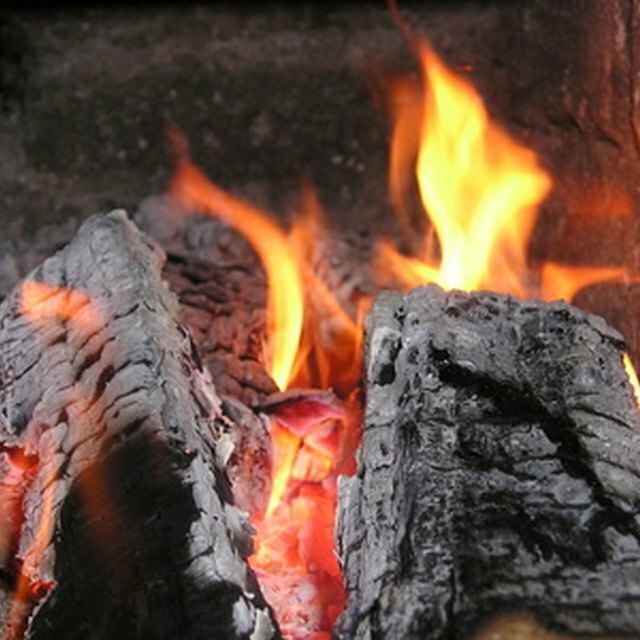 There are several methods for determining the amount of wood pellets the stove consumes. Determine the heating method currently used in the home. Comparison formulas exist for heating oil, natural gas, electricity or propane. No formula currently exists for the amount of wood pellets needed to replace a cord of fire wood. Determine the amount of energy commonly used for heating during the winter. Look at old utility bills to determine the gallons of propane or heating oil used. Natural gas is measured in cubic feet and electricity in kilowatt hours. In some instances, such as electric heat, it may be necessary to subtract the estimated normal household use from the utility bill. Multiply the average amount of energy used over the previous winters by the fuel-equivalency constants. According to the Massachusetts Division of Energy Resources a ton of wood pellets is equivalent to 120 gallons of heating oil or 170 gallons of propane. Natural gas users find a ton of wood pellets is equal to about 16,000 cubic feet of natural gas, while those that heat with electricity can equate a ton of wood pellets to 4,775 kilowatt hours of electricity. Divide the estimated tons of wood pellets by 50 to determine the number of 40-pound bags of wood pellets required for the winter. You can then multiply the number of bags times the estimated cost per bag to determine the estimated heating cost per winter.